Since getting my feet wet in draft-legal triathlon last June at the Monroe EDR, I have developed an addiction for this style of racing. 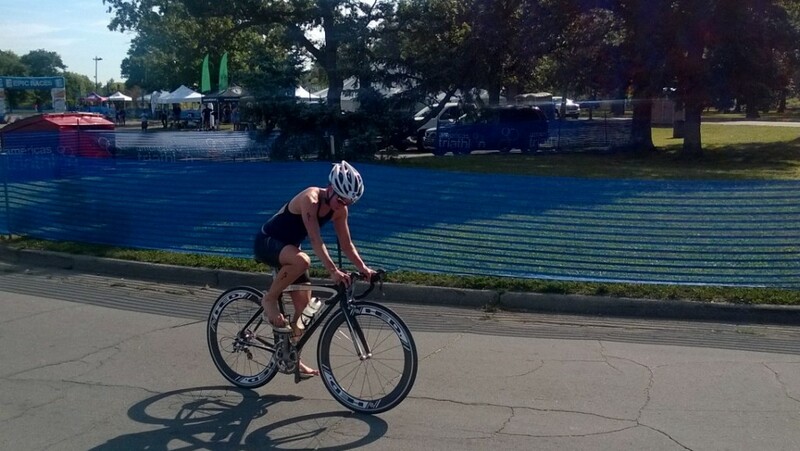 In my first few years of triathlon, I had no desire to race so close to other competitors on the bike, and felt that draft-legal racing did not truly allow the purest triathletes to set themselves apart by excelling in each individual discipline. However, I now believe that draft-legal triathlon cannot really be compared to non-draft racing. They are very different events. The former involves much more strategizing, responding to others’ racing styles, and even working with competitors at times. The latter is a pure individual test where success is based on executing one’s personal race strategy independent of others. I still enjoy both formats, but love the adrenaline and suspense that draft-legal triathlon brings. After Monroe, I sought out as many draft-legal competitions that I could find. 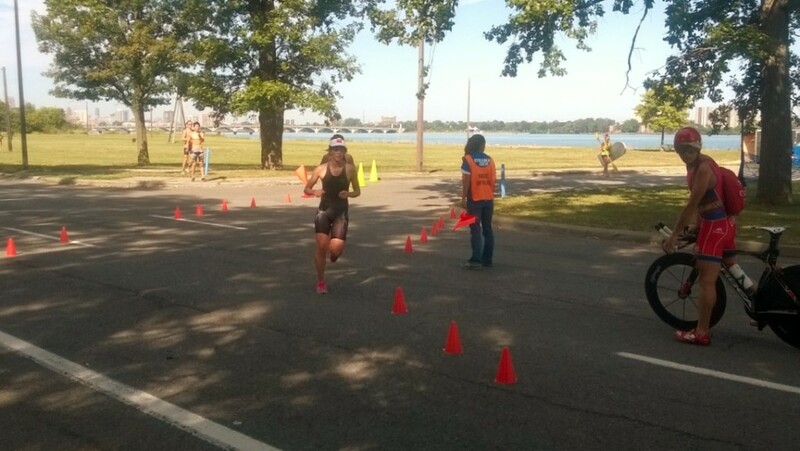 As an amateur triathlete, there were not very many options, with the exception of a couple collegiate competitions and Elite Development Races (EDRs). [EDRs offer elite qualification to the top three amateur finishers, provided that they finish within 5% of the winner’s time]. I competed in UCLA’s draft-legal race in November 2014, and then UCSD’s EDR in February 2015. Hoping to finally earn my elite license, and to have even more draft-legal racing opportunities, I signed up for the Detroit EDR 2015. Brice and I booked our tickets for Detroit, and I promptly started a countdown on my dry erase board. I guess you could say I really wanted this. The weeks and days leading up to the race were cushioned with Vitamin C supplements & herbal teas–I wanted to do everything in my power to arrive healthy and strong in Detroit. I vowed not to shave my legs until after my pre-race dinner, so that I’d have that extra smooth, fast, feeling come race morning–a ritual developed in my swimming days. My dreams were decorated with race day visualizations. 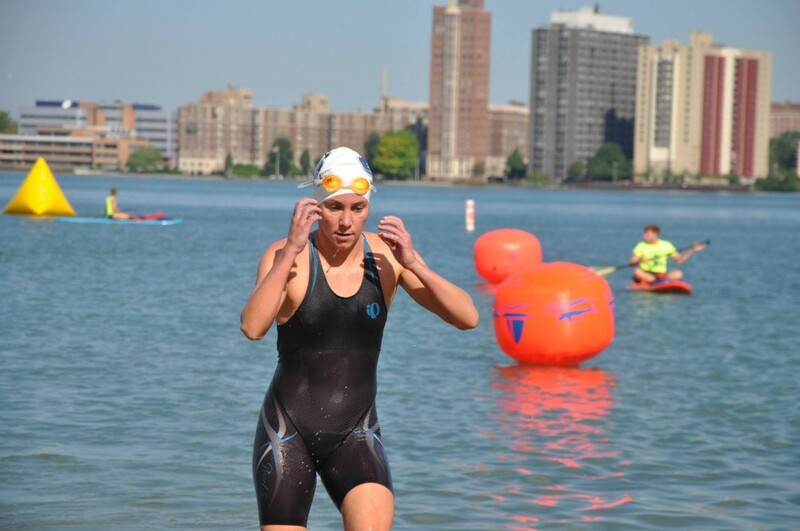 I closed my eyes at night and saw myself going through each thought process and every movement–explosive swim start, high elbow swimming, positive affirmations, smooth transitions, pushing the pace on the bike, lifting my heels and leaning on the run. I imagined the pain and adrenaline of the race, and felt the wave of relief that would pass through me after a top-3 finish. I knew that I could. I believed that I would. Thursday morning (travel day) finally came. I got up minutes before my 4 a.m. alarm, erased another day from my dry erase board countdown, and made some french toast with fruit to start the weekend off right, and carb-filled. 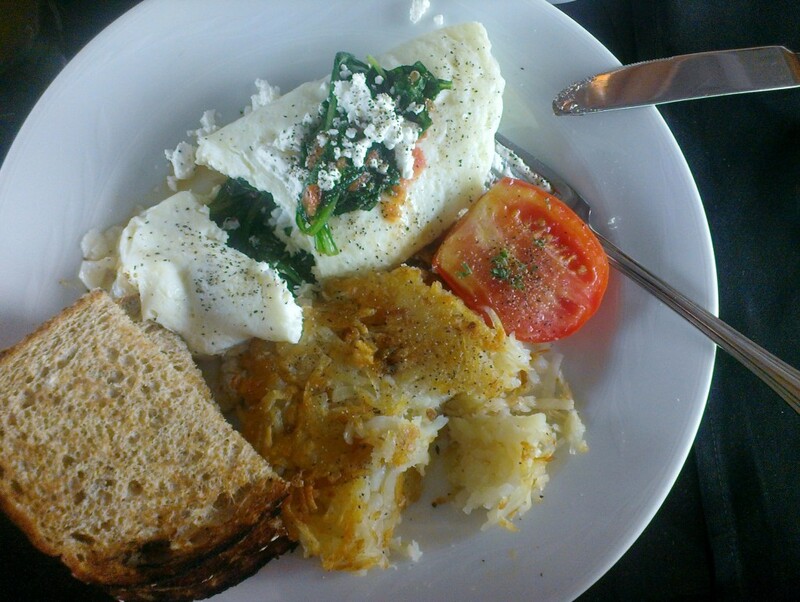 We headed to LA-X, and I slowly check every little step off of my detailed travel teux deux list. 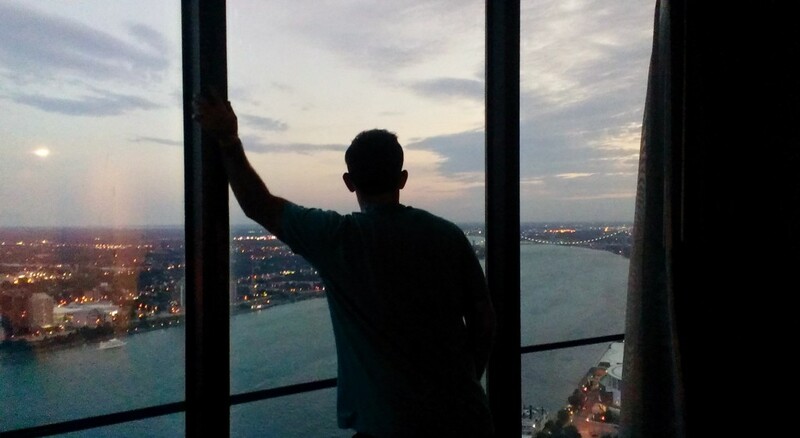 12 hours later, we checked in to our hotel and made our way to our room on the 61st floor. Friday morning after breakfast, we headed to Belle Isle (the race site) for a pre-race cycling/swimming clinic held by 2004 Olympian Barb Lindquist. Just before loading the bike into the rental car, the back tire suddenly released all of its air, unprovoked. Already anxious, because I still needed to adjust the handlebars before the clinic, my adrenaline shot up. Thankfully, we arrived at the clinic early enough to get the handlebars straightened out (thanks, babe) and fix the tube just in time for the start of the clinic. However, my spare tube did not have the proper valve size for my racing wheels, and I could not manage to fully inflate them. Barb took us on a tour of the bike course, and then broke us into groups for some pace work. We practiced some mounts and dismounts before heading into the water for swim drills. The water was 76 degrees–super warm for someone who is used to swimming in the Pacific Ocean, often sans wetsuit–so it felt refreshing. 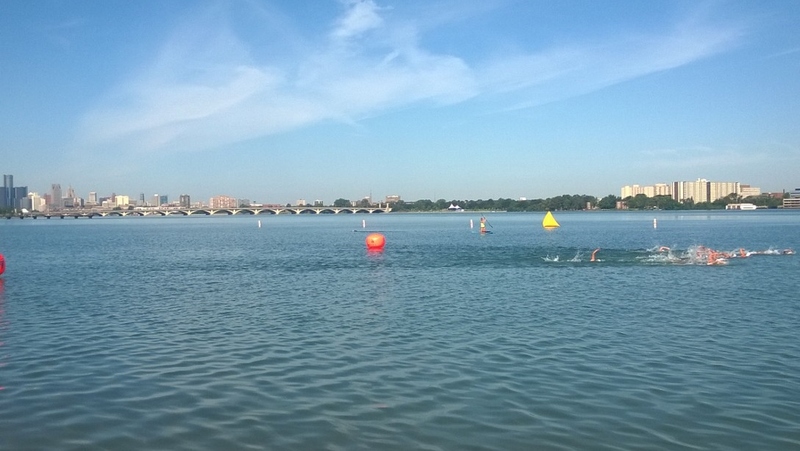 I was relieved to learn that there would be no wetsuits allowed on race morning [water temps above 68 degrees are non-wetsuit legal for ITU racing] because wetsuits serve to level the playing field by adding buoyancy/improving body position, which is not ideal for a relatively strong swimmer. After the clinic, Brice and I set out to find a local bike shop to pick up another spare tube with a longer valve. I replaced the tube once again, and finally felt at ease, ready to race. That night, we drove back onto the island for a humid & hot pre-race run with Barb and the humid & hot mandatory pre-race meeting. Later, we stood by our window and admired a marvelous display of lightning playing over the city as a Kansas concert rocked out (loud enough for us to hear 61 stories above) along the waterfront. Saturday morning, the thunderstorm had passed, and the previously forecasted rain was nowhere to be found (hallelujah!). I prepared my mind and spirit by reading my personal daily prayer, and felt the weight of the words sink in more deeply than usual: “I want to be open to all that You have for me today & to trust in your Good plan–to remember that You are Good in all things.” No matter what, today will be a good day. It will work out for the best. Oatmeal, coffee, then time to Go! The race director called our wave to line up. “Who is number 51?” he asked. Uh oh, that’s me! “We changed your back tire” he said. What?? I just changed it last night! “The bike mechanic heard it go flat and ran over and fixed it! Your race could have been done after the swim.” Wow, thanks for that, God. I later called the mechanic and personally thanked him. Soon, Laura and I were riding together, and we traded pulls for all three laps. I felt strong, and knew that we couldn’t get comfortable because the chase pack would be hunting us down. 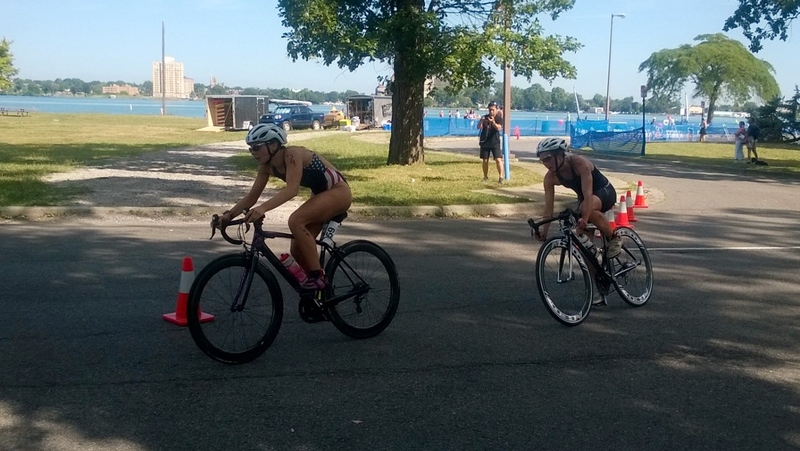 At the end of the 3rd lap, a chase “pack” of two girls did catch us, and we all rolled into T2. Now it would be a fight to the finish on the run course. I immediately fell into 4th place as we started the run. The first place girl took off, and the next two quickly pulled away from me. As they did, I saw Brice and heard him telling me “You’ve got to get them!” I knew I needed to. I really wanted to. But, I knew that my pace was all I could sustain for the 5k. This might be the end, I thought. I came all this way and now I am going to place 4th, just one spot away from earning an elite license. But, I knew that this kind of thinking would not help my case. I tried to stay in the game. It was getting harder to breathe in the warm, thick detroit air. Approaching the turnaround of lap one (the course was twice through an out-and-back), I began looking to see how much space I had between me and 5th place. I have to look strong so she doesn’t feed off of my weakness, I thought. I tried to keep my composure. My arms suddenly gained 20 lbs each. I had never felt this way before. I came into the turn to start my second lap, and I finally felt like I could run. But I had quite a gap to bridge between me and #3, and all I could do was pray, pray, that one of the girls ahead of me would not count in the final tally. [Elite license qualifications roll down if Canadians and/or current professional license holders are in the top 3. If a girl in the top 3 met one of those criteria, and as long as I finished within 5% of the winning non-pro time, I could still apply for my license!]. I imagined a team of angels coming down and helping me reach the finish line. 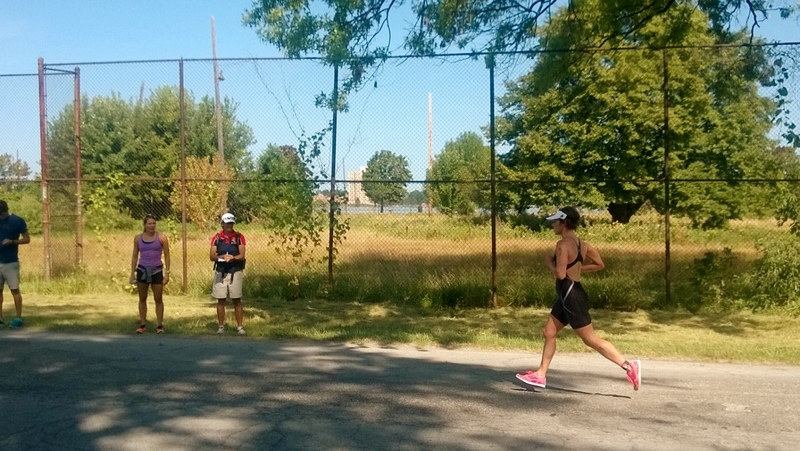 When I approached the finish, I thought if the 5th place girl were coming up on me, would I have anything left to fight? Thank the Lord that I didn’t need to find out. I crossed the line. I wasn’t sure what to feel. No one seemed to be handing me a gold-encrusted professional license, so I must not have made it. I wanted to ask everyone around me for answers, but I felt the need to keep composure and not worry about the result; to be content knowing that I gave my all and let the chips fall where they may. Brice was sweet and comforting, and we both seemed to assume that I was out of contention. I walked over to watch as the top 3 girls climbed the podium and received their medals. Standing in the back of the cheering crowd, I saw another athlete–Charity. She noticed my not-so-happy face, and asked how my race was. I mentioned that I was disappointed that I just missed the 3rd place spot. We discussed the possibility of one of the other girls already having her professional license, and the butterflies of hope tentatively returned. I walked over to the river and noticed a penny peaking out from under the clear water. I picked it up. It was heads up. After unloading my things into the car, I found the race director, Bill, and inquired about the elite license situation. He said he had heard that the 2nd place girl was a professional, and that I might receive an email regarding claiming my professional license. He was careful not to get my hopes up too much, just in case. Still not 100% certain, but 99% excited. As I walked towards Brice (who was taking a dip in the river), I nodded an “I think we did it!” kind of nod. He picked me up, and my whole body was smiling. Back at the hotel, I felt the hot water on my head as I rinsed off a weekend of nerves, anxiousness, excitement, hopes, confusion, & doubt, and now felt the calm relief. Just a week ago, I had imagined this very moment– this very feeling, this same sigh of gratefulness escaping my mouth. 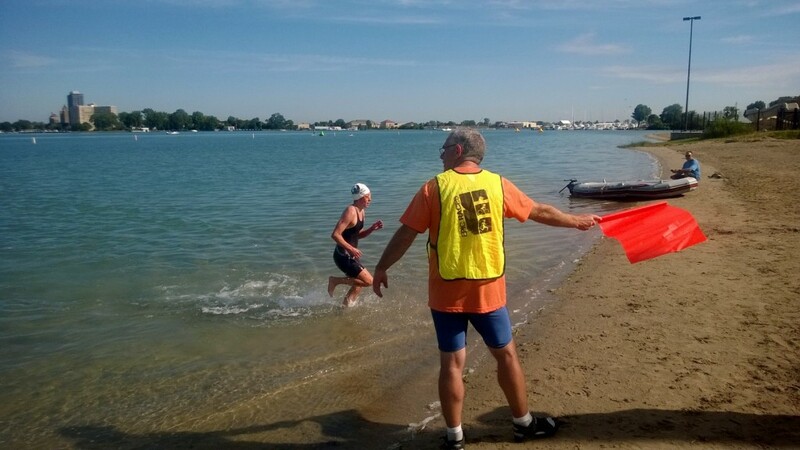 So many things had come together for this race–non wetsuit swim, angel bike mechanic who saved my back tire, having a buddy (Laura) to swim with and gain enough ground heading into the run. Thank you God. 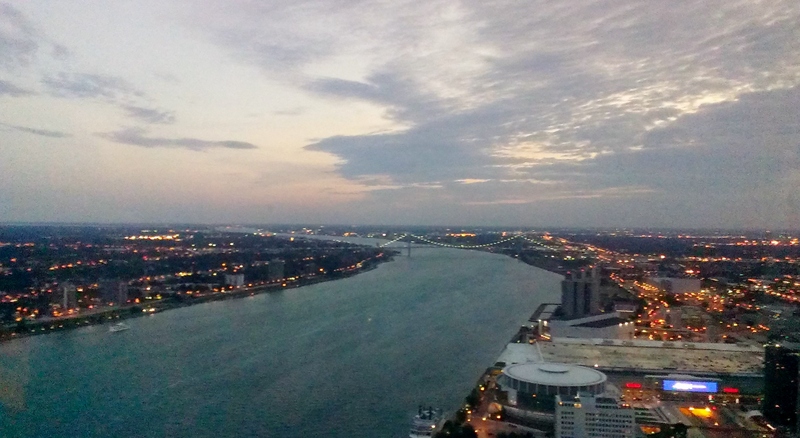 We spent the rest of the day seeing a bit of Detroit–an old used bookstore, the Ford Museum, the waterfront, and a hoppin’ restaurant. 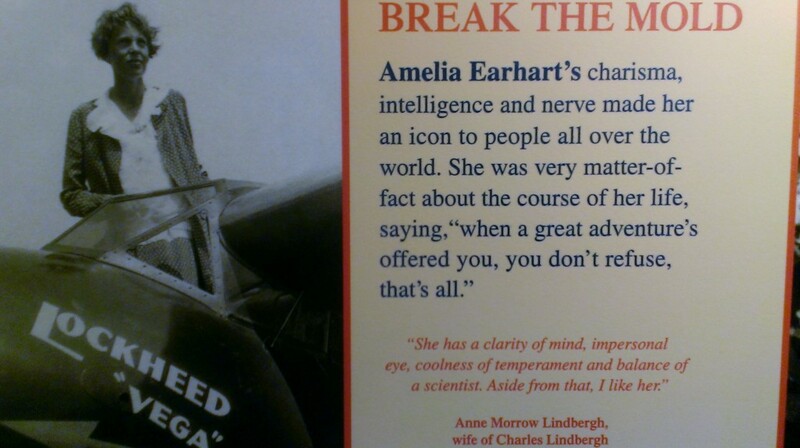 One of my favorite parts of the day (aside from potentially earning my pro card) was seeing an tribute to Amelia Earhart–one of my childhood heroes–in the Ford Museum’s aircraft collection. A quote of hers was on display: “When a great adventure’s offered you, you don’t refuse, that’s all.” Timely words. 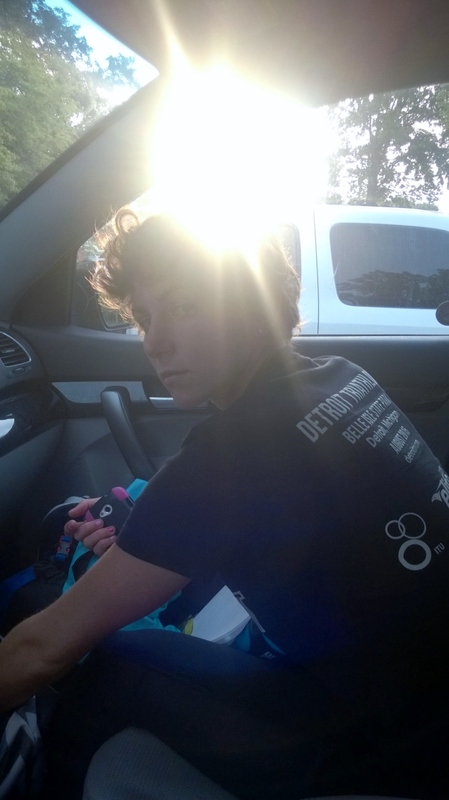 They echoed in my head as I contemplated future adventures as a professional triathlete. Our valet took our car at the hotel for the last evening of our stay. On the way up to the room, I had a strong craving for ice cream. We asked the hotel bar keeper for ice cream, which cost us $6, and proceeded to wait 10 minutes for a single serving of vanilla bean ice cream. Hmmm…do they make this ice cream fresh from the cow? When it reached my tongue, it was worth the wait–and the $6. Ice cream is good every day, but some days it is perfect. Brice, my amazingly supportive and patient hubby who happens to have awesome mechanical skills and be an elite Marriott customer. Mom, Dad, and all the friends & family from back home who shared the love through texts, calls, and messages. I felt it–thank you all! Coach Gareth, for the many challenging workouts that gave me the confidence to believe. Barb, for the pre-race clinic and race-specific tips.